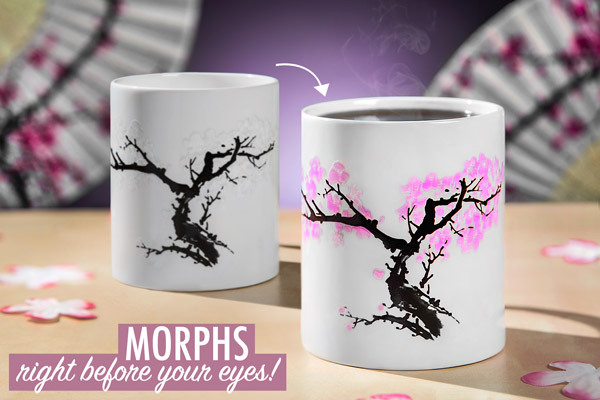 Add a piping hot beverage to the Blossom Morph Mug and watch its flowers burst to life. At room temperature, the heat-sensitive mug's design resembles an apricot tree during the cold months. But pour in a warm drink, and the Japanese Mae-haw Apricot Tree undergoes a springtime revival! Accented by dozens of pink blossoms, the 11-ounce mug allows you to enjoy springtime anytime of the year. Dimensions: 3.25" x 5" x 3.75"
Pour in your tasty hot beverage and watch the flowers of the Mae-haw apricot tree bloom. Enjoy the beauty of spring as the heat-sensitive mug bursts to life with the help of your steaming tea, coffee, cocoa, cider, eggnog, or water*. *Just making sure you're still reading. 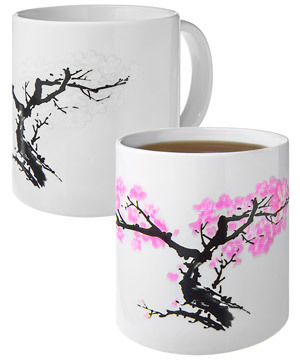 Simply add a hot beverage to witness the apricot tree bloom on the Blossom Morph Mug. 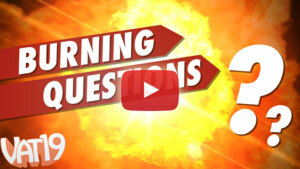 Check out the video below to see how the Blossom Morph Mug changes when hot liquid is added. Hey, we're judging this mug by its cover and we like what we see! What's on the inside is up to you, and we're sure you'll fill this beautiful cup with something deliciously warm. 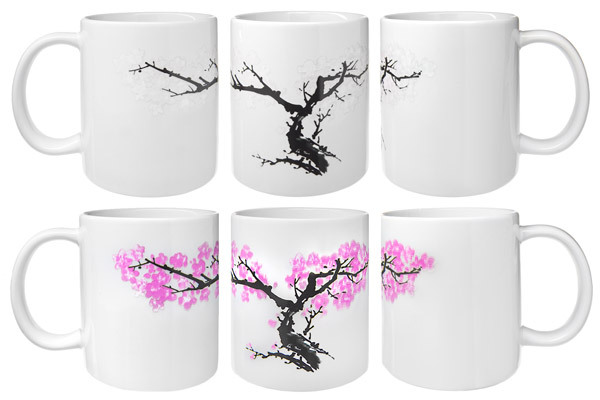 Enjoy the beauty of spring anytime with the Blossom Morph Mug.